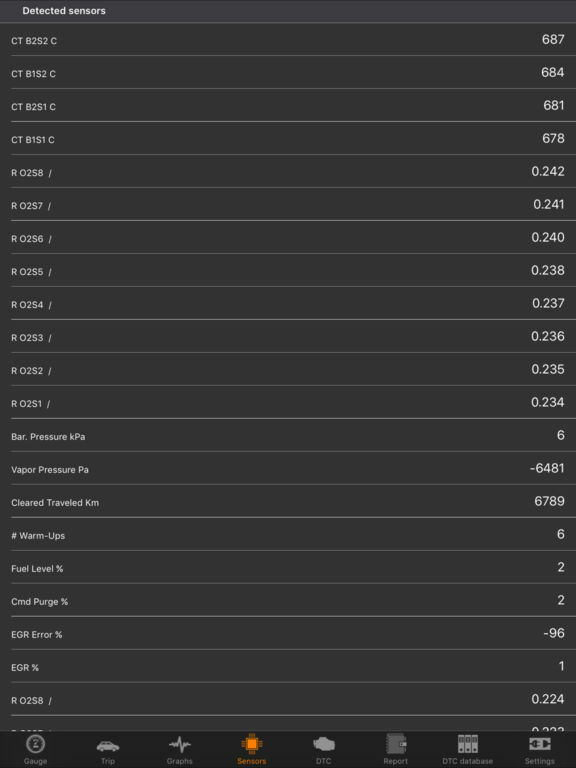 This app turns your iPhone,iPad or iPod into an advanced car diagnostic tool. Want to know why the check engine light keeps going on? Check it with Car Diagnostic. 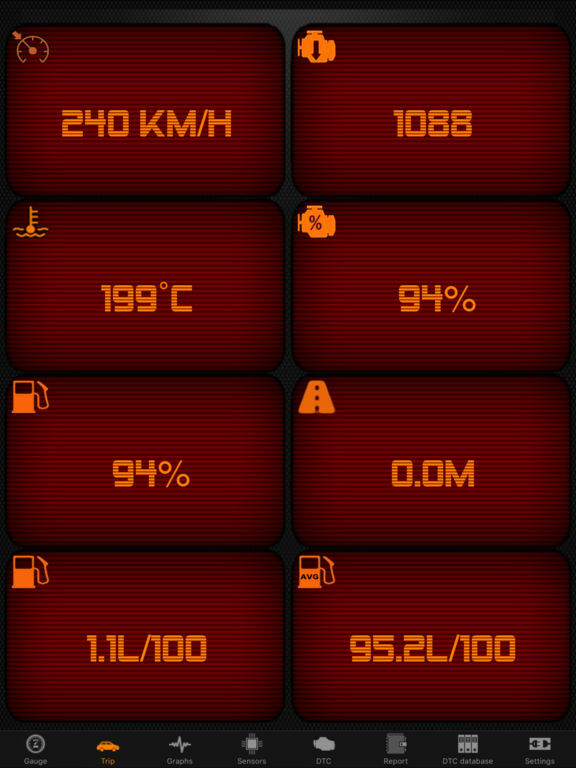 Want to monitor speed, fuel consumption, RPM, engine temperature as you drive? Do it with Car Diagnostic. DISCLAIMER: Car Diagnostic requires a compatible third party hardware interface, purchased separately, to communicate with the vehicle. Car Diagnostic supports all OBD-II and EOBD compliant vehicles sold worldwide. Please verify that your vehicle is OBD-II/EOBD compliant before purchasing! OBD-II Hardware compatibility: - ELM327 compatible WiFi dongles - Specially tested on cheap Chinese wifi scanners. Bluetooth adapters NOT supported. Remember some vehicles are limits OBD information and some data can not be read. Some vehicles restrict DTC clearing. 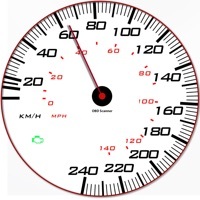 -Draw graphics for main parameters, such as speed,mass air flow,timings etc. Generate reports and send it via email. 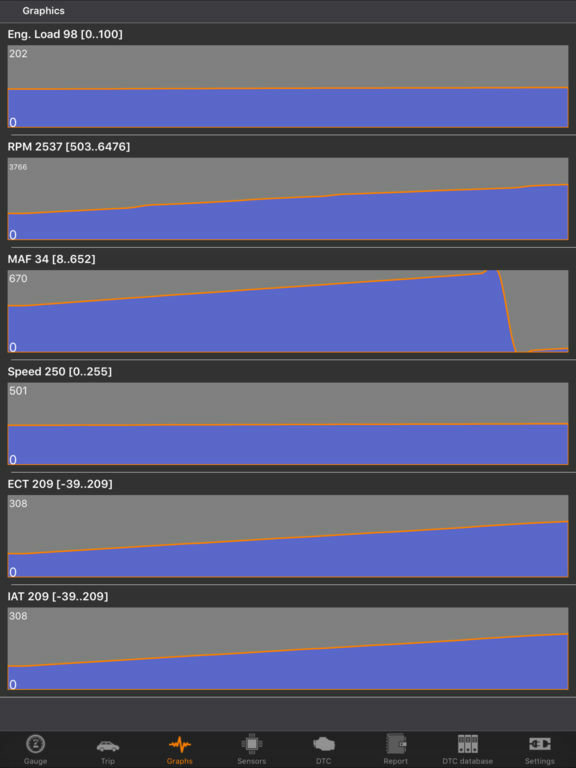 Shows in real time detected sensors data.